Training and lifestyle of RAW agent When we see in a movie about the life style of RAW agent or a secret Intelligence Field Agents James Bond Movie is like a super cop in our mind and we dreams about the action, investigation, conspiracy plots etc. but it is all happens in a movie reality is it happened like that only, or may be different. Even some secret agency are desk bound jobs paper work without any action but some may have exciting work high risk, etc. even some time they work as a support job at our country’s secret Intelligence services like translation of foreign languages, communication officer, call centre assistants, technicians, network specialists recruitment officer etc. They get chance to travel and foreign language proves them to be beneficiary. But this job may be a bit lonely one. They have to do lot of research work pottering round and have to attend meetings. Some time in secret operations it may be risky. Their name is not revealed to anyone for the safety of the officers. Nobody has access of information about them. Let’s discus a true story “Ajit Kumar Doval” an IPS officer who performs a RAW agent duty they become a Intelligence Bureau director and also India’s National Security advisor once revealed his Pakistan mission. He has given vital information related their nuclear development. He used to go to digraph being a hindus as he doesn’t have to reveal his identity. He performing all the things which in a muslim religion and their culture. After facing such situation he was successful in his mission and return back carefully. Life within HQ is safer but a lot critical. They are responsible for intelligence failures or tragedies of fallout. Sometime if their colleagues are arrested then they have to delete their records and don’t even acknowledge them. Government discarded them if they are arrested in operation our country. 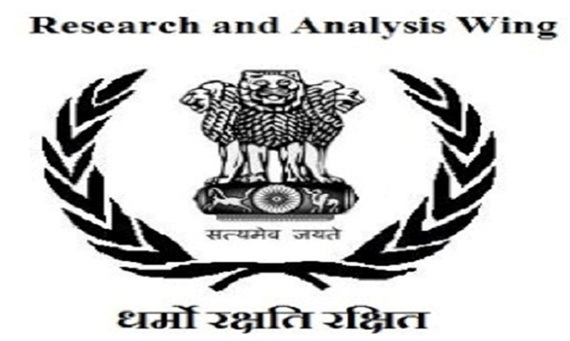 Training and lifestyle of RAW agent The basic training is no longer than 10 days in which they have to familiarize with the real world of espionage and of intelligence. Also they have learned about the some important type of skill and knowledge about the space technology, information technology, energy security, scientific analysis. Even they have to read some case studies of other agencies like CIA, ISI, and MI6 etc. Training and lifestyle of RAW agent After completing the basics of training they are sent to field intelligence Bureau (FIB) which is about to 1 to 2 years where they are taught how to survive in cold areas, jungles etc and also how to manage secret operations. They are also taught infiltration and ex- filtration in realistic conditions and also how to avoid capture, if caught, how to face interrogation. They also have learn about the art of making contacts, skills for operating mission etc. and then finally they came back to the school for polishing. Training and Life style after a RAW Agent For the practice of spying or of using spies, typically by government to obtain political and military information. Their use to collect the information about the another country’s activities, protect citizens against secret and convert operation from other country’s activities, and protect our country from the secret and covert operations from other countries and internal sources, their military operations, personal information’s.